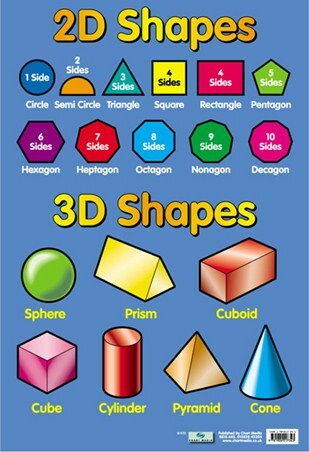 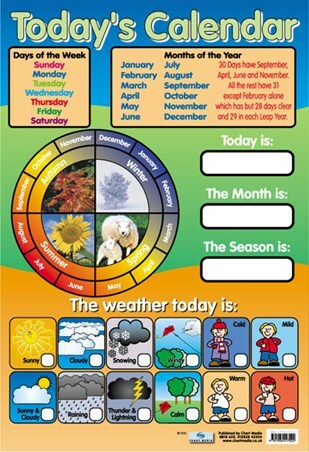 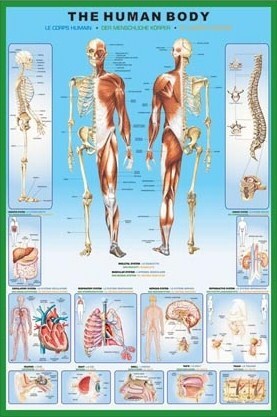 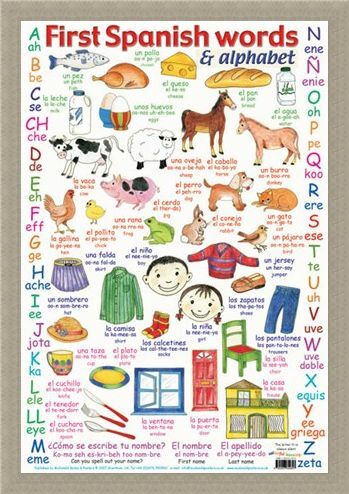 Educational Mini Poster: Conquer another language with this fun packed poster that is here to teach you the basics of Spanish. 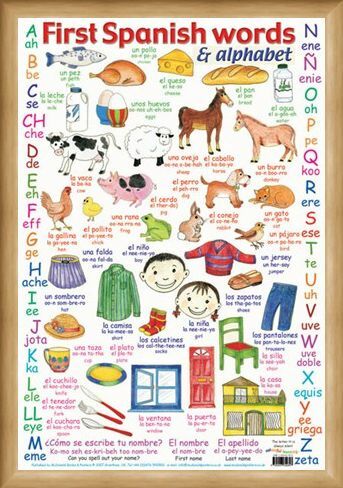 Learn how to say Pig, "el cerdo", Skirt, "una falda", dog, "el perro" and how to ask somebody their surname, "El apellido" among many other phrases, animals and food names. 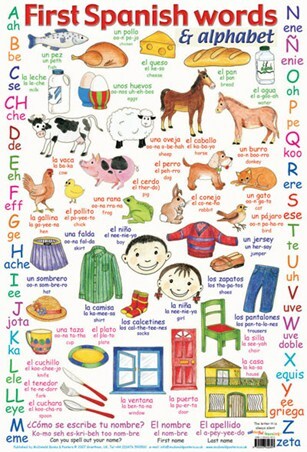 In bright colours, the Spanish Alphabet runs around the outside of this language mix, with "eme" for M, "ache" for H, "uve doble" for W and "zeta" for Z. 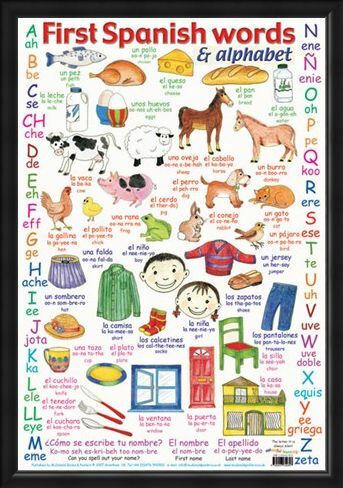 The beautiful language of Spain will become your second tongue in no time with this vibrant and energetic poster hanging from your wall. 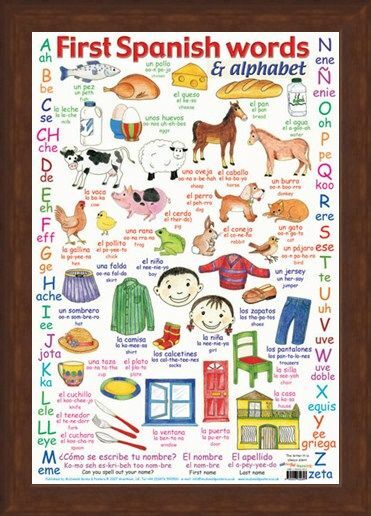 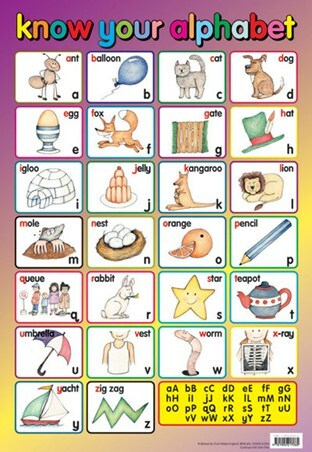 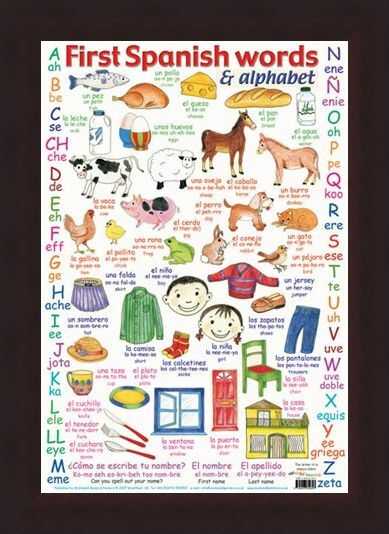 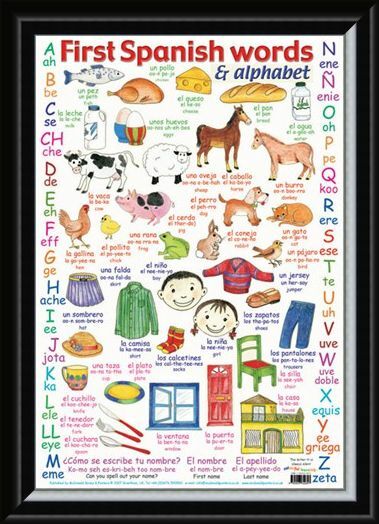 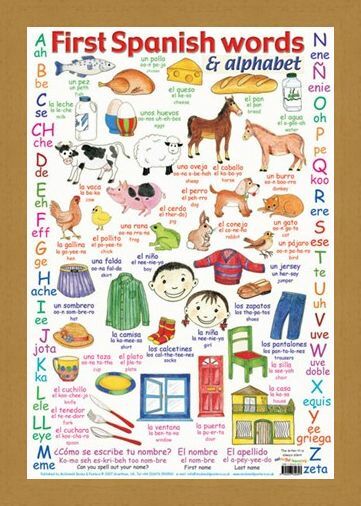 High quality, framed First Spanish Words, Learn The Alphabet mini poster with a bespoke frame by our custom framing service.